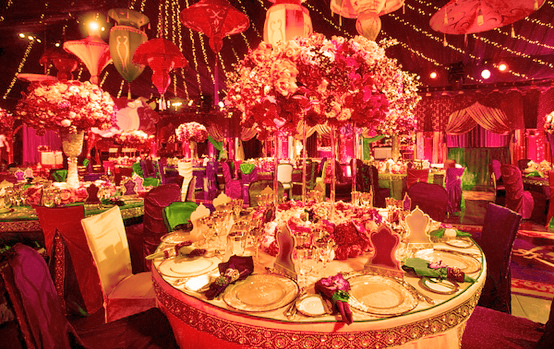 Who doesn't want their wedding to be the most spectacular and memorable event? But if you thought that a truly magnificent marriage ceremony always means big bucks then you may just be proven wrong. Sometimes, it is the simplest of the things that matter the most and are revered the most. Here are a few simple yet special things you can do to make it a really a well thought out event. No, we are not talking about those left over Diwali crackers but those sparkling fireworks in the sky. Arrange your guests for a few minutes after the ceremony for a display of fireworks in the sky. Do not go over board or spend too much money the idea is to just add a memorable twist to your celebrations. If you are more adventurous you can even get fireworks that light up in the skies with your names displayed. You can even choose the colours of fireworks to go with your chosen decor. If you are saying your vows near a lake or a water body, well, extra marks for scoring a great location for a spectacle to remember. Most hosts anyway hire a professional photographer to do all their wedding pictures. Add a bit of personalization there by getting instant photos for your guests when they pose to take home with them. Your wedding album would be ready even before you are back from your honeymoon and your wedding pictures will find a place in most of your guests homes. Get a master mocktail mixer and ask them to mix up drinks in the flavors your guests thinks best describes their moods. A coconut pinacolada for your tropics loving friend and may be a mango punch for your aunt from Ahmedabad! All your guests need to do is go to the mocktail bar, describe their personality and get their custom made drink. A bonus will be to get their names mentioned on the drinks cup, just like a Starbucks coffee mug. As the two of you sit dressed as the bride and groom perhaps in all the fineries you will never ever don again how about hiring a portrait artist to make your sketch. The one that also captures the emotions and anxiety you feel at this once in a lifetime moment. Trust us, it will be on your walls for a long time to come. This one calls for being a bit generous. So calculate if your budget allows you to. Give each of your guests a small return gift with a signage to open it same day next year. This could have dinner coupons valid for over a year or a ticket to a park. Include a note saying we want you to celebrate our special day once more and bless us once more as we reach an important milestone in our lives. Dec. 1, 2017, 4:38 a.m.